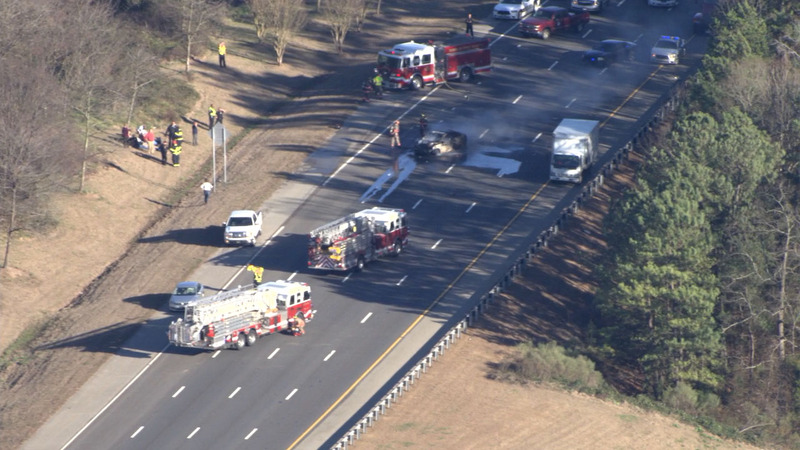 DURHAM, North Carolina (WTVD) -- I-40 westbound was closed in Durham County near NC-147 after a crash Thursday afternoon. Pictures from the scene showed a vehicle on fire. The road reopened after about an hour.